Yoga, Meditation, and body-mind awareness have finally taken root in the West. People are becoming deeply passionate about their health and are diving in. And with this growth we’ve seen the emergence of a new genre of music that caters to this practice, with inspiring compositions from bands like Desert Dwellers. Altar record’s latest release is a hommage to this sound, and a chance for you to get back to your center and breath. 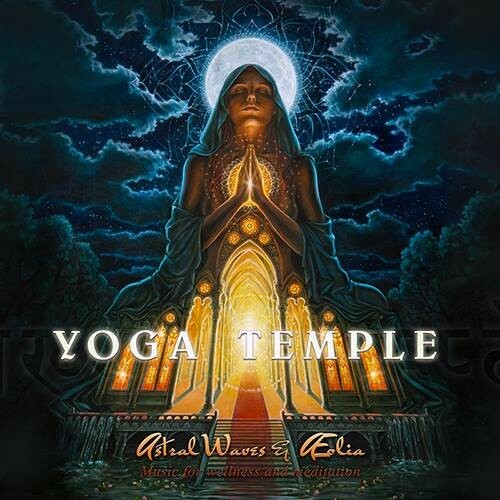 Yoga Temple is the result of a chance meeting between Astral Waves (aka DJ Zen) and the lovely and talented Aurelie Morgane (aka AEolia) at a festival in 2013. Struck by their common love of meditation, yoga, and beautiful open spaces, the two decided to team up at Altar headquarters. A magnificent view of the forest served as their principle inspiration, and helped give birth to this project which is set to be released around December 2015. With track lengths that average twenty minutes, this is the perfect soundtrack for relaxation, letting go, giving or receiving a massage, yoga, meditation and just generally feeling great. The music is spiritually uplifting, warm and enveloping. Aurelie plays several flutes including the Indian Bansuri. An experienced, expressive solo player, her proficiency allows her to tune in and completely improvise. DJ Zen takes care of the production side with pads and synthesizers, with lush sounds that unfold organically and give the listener an incredible sense of space. The compositions flow like a river, ever shifting, yet on course, allowing you to travel to places that you alone hold the key. May you enjoy many blissful moments, and much happiness on your journey to your inner temple. Ommmmmm.